Every parent deals with sleep troubles at some point. At the least, most children experience at least one sleep regression during their childhood, and this is normal. For families who are affected by Autism Spectrum Disorder, achieving a full-night’s sleep may feel like a never-ending trial. For these families, sleep is not a problem that will likely resolve itself. Autism Spectrum Disorder (or ASD) is a categorical name that covers a series of complex brain development disorders. Interestingly, Autism appears to have its roots in very early brain development. However, the most obvious signs of autism and symptoms of autism tend to emerge between 2 and 3 years of age. With this emergence, often parents are faced with many issues, not the least of which is dealing with sleep. In 2004, the University of Louisville did a sleep survey that included 210 families affected by ASD. The most frequently reported sleep problems included difficulty in falling asleep, restless sleep, not falling asleep in own bed, and frequent awakenings. There is no concrete research to help us understand exactly what causes these sleep disturbances, but some (including the previously mentioned study) have hypothesized a probable source, citing irregularity in the circadian rhythm, or low levels of melatonin. The important question is how can we help children whom are on the Autism Spectrum sleep? Below you will find some suggestions for parents with children affected by ASD. Families can utilize these ideas in helping their children establish normalized sleep patterns, and in turn, helping the whole family sleep. Understand how much sleep your child needs. The average preschooler (children between 2 ½ and 5 years of age) needs approximately 10 hours of nighttime sleep along with a 90-minute afternoon nap, but research suggests that children diagnosed with ASD may need less sleep than average. Because of this possibility, it’s important to pick a bedtime that is both reasonable and easy to accommodate. For example, don’t choose a 6:00 p.m. bedtime if you may be eating dinner, or not home yet. Aim for a time that will allow your child to get the most optimal amount of sleep, approximately 9-10 hours. Remember, with bedtime consistency is key. Ensure that your child’s bedroom encourages sleep. You want your child’s bedroom to be soothing, so make sure that the room is dark in the evenings and kept at a comfortable temperature. If there is outside light (such as a street lamp), you may want to consider purchasing room-darkening shades. If you are the parent of a child with ASD, you may already be familiar with the fact that children with ASD are more aware of nighttime noise. To help with this, a white noise machine will help mitigate outside noise and may help to curb night awakenings. A note from The Sleep Lady: Some children with ASD may not be comforted by white noise, but if outside noises are bothersome and causing multiple awakenings, a white noise machine may be worth trying with your child. Just be sure to monitor the results. It is important to remember that some children with ASD are not only noise-sensitive, but they may also be texturally sensitive. I would encourage you to check bedding, pillows, and even pajamas to make sure that they aren’t irritating to your child’s skin and causing restless sleep (and more awakenings). Follow a daily schedule or routine. Many families find that a picture chart helps their ASD child prepare for the next task. If you don’t have one, they are easy to create, and can help with not only bedtime, but also with mealtimes and transitions. Pictures also allow a non-verbal child to see what’s coming next, based on the current activity, giving them extra time to process the change. Keep your picture charts in a central location so that your child can refer to them often. Make sure that meals, naps, and bedtimes occur as close to the same time each day as possible. Television is stimulating (so are computers, laptops, tablets, and smartphones!). Try to turn screens off at least two hours before bedtime and switch to quiet activities that will encourage your child to prepare for sleep, such as books, puzzles, or drawing. Stick to your established bedtime routine. Your bedtime routine doesn’t have to be long, just fifteen to thirty minutes is enough. Even if you get home late, don’t skip the routine. If you have to do it faster, that’s okay, but routine is so important. I cannot stress that enough. Stick with your routine. It is a source of comfort and daily reassurance for your child. To find a bedtime routine that is relaxing for your child, you may need to experiment a bit to figure out which elements of the bedtime routine are working, and drop the ones that aren’t. If your child is especially active after a bath, you may want to consider moving this to an earlier point in the evening, or making it part of your wake-up routine instead. You want your child relaxed and ready to sleep at the conclusion of your bedtime routine. Play outside during the day. Fresh air is good for you, and will help everyone sleep better. Try to time your outing early in the day (so as not to over-stimulate your child and make bedtime harder). Remember that falling to sleep on your own is a skill that has to be taught. I would encourage you to use The Shuffle to help your child with this skill. Everyone wakes during the night, and your child needs to learn how to go back to sleep by themselves. With children diagnosed with ASD, it is to be expected that night awakenings will happen where the parent has to assist, but you will find that once your child can go to sleep on their own, this will occur less and less. You may find that you need to modify The Shuffle for your child based on their needs, and that’s okay. If you have to move your chair every week, rather than every three days, don’t worry. The point is to help your child sleep, and if it takes a little bit, that’s perfectly okay. Keep a sleep journal for your child. It’s important to note that what works for one child may not work for another, so keep a sleep journal to help you remember what has worked and what has not. Maybe an 8:00 p.m. bedtime will allow your child to sleep until 6:30 a.m., but going to bed at 7:00 p.m. results in a 4:00 a.m. wake-up. Or maybe you need to change the bedtime routine to help your child get to sleep. Keeping a journal will help you to analyze your routine and wake-up times to make minor (or major) adjustments to make sure that everyone is getting restorative sleep. In addition to these recommendations, I would also encourage you to try to mitigate potential sleep barriers during the day, such as caffeine, excessive television, and rough housing (especially in the hours before bed). If you have more than one child, you may have to create multiple bedtime routines. For your children who are not on the Spectrum, you may want to consider separate, or ‘stacked’ bedtimes. 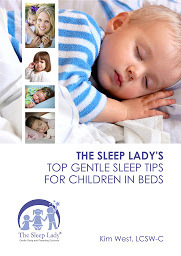 Stacked bedtimes allow you as the parent individual time with each child, and also helps each child learn to fall asleep using their individual resources. Be careful to observe a low noise level with any children that are still awake during each individual bedtime routine. I realize that there are quite a few suggestions here, so I would encourage you to take what works for your family, one suggestion at a time. If sleep is still an issue, please see your pediatrician.